There are the two types of scholarship, the DairyNZ Undergraduate Scholarship and the DairyNZ Masters Scholarship. 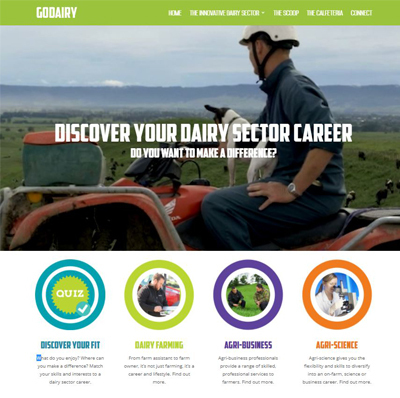 As well as the DairyNZ Vocational Training Excellence Awards which provides support and industry recognition for talented vocational dairy trainees. Each of these are awarded to outstanding students with a strong career motivation towards the dairy industry. Scholarship winners are mentored and supported and are offered a tremendous opportunity to kick start their career. Click through to the relevant sections below to find out more. Each year, bright young Kiwis have the opportunity to apply for their share of more than $300,000 worth of scholarships on offer from the dairy industry.